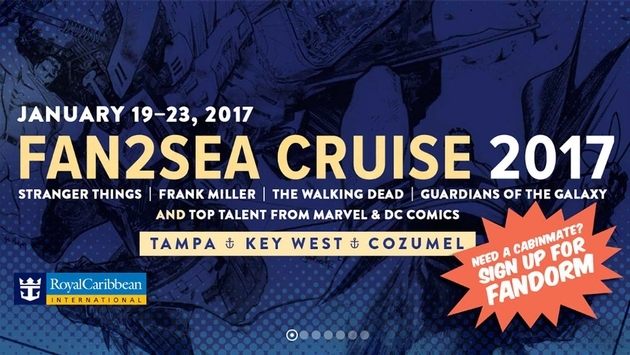 As an annual Comic-Con International attendee, I am an unapologetic super fan of all things geekdom, and fanboys and girls like me can even take the convention fun to sea thanks to a number of upcoming theme cruises, not the least of which is the appropriately titled Fan2Sea Comic Con Cruise. The Fan2Sea Comic Con Cruise is definitely the closest themed sailing to come to the actual convention in my homeport of San Diego, California thanks to a monster lineup of talent to be featured. From January 19-23, 2017, Royal Caribbean International’s Brilliance of the Seas will be the hub of geek activity as the ship sails roundtrip from Tampa, Florida to Key West and Cozumel, Mexico. Fans of the “Guardians of the Galaxy” films as well as “Stranger Things” and “The Walking Dead” television shows will be particularly tickled pink over the presence of movie actors Michael Rooker and Sean Gunn and television actors Millie Bobby Brown, David Harbour, Caleb McLaughlin, Catherine Dyer, Randy Havens, Shannon Purser, Sonequa Martin-Green, Seth Gilliam, Madison Lintz and Lew Temple. The list doesn’t even stop there as heavy-hitting franchise creators like Frank Miller and comic artists such as Klaus Janson and Andy Kubert will also be along for the ride. In total, dozens will be showcased on shipboard panels and Q&As. There will also be meet-and-greets, themed dinners, evening entertainment, trivia tournaments, film and documentary screenings, workshops, a dedicated game room and cosplay crowned by a $1,500 grand prize contest. Bringing the international element to such theme cruises is the Singapore Cosplay Club with COSFEST SEA, also on Royal Caribbean International from February 17-20, 2017. The Mariner of the Seas will cruise to Penang and Singapore, and the program will include a cosplay championship, parade, performances, cosplay/anime party, photoshoots and special souvenirs. For more of an official variety, Marvel Day at Sea is also coming in late 2017 aboard seven of Disney Cruise Line’s Disney Magic sailings from New York City. 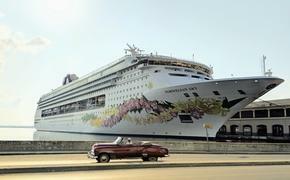 The theme cruises will showcase comic, film and animated series characters and meet-and-greets from the Marvel universe as well as screenings and a special deck party and fireworks show. Plus, the first sold out Star Trek: The Cruise heading out on January 9-15, 2017 just added actor Armin Shimerman, who played Quark in “Star Trek: Deep Space Nine,” but two voyages with their own stellar lineup are available to book for 2018. Also for “The Walking Dead” fans, the Walker Stalker Cruise on February 3-6, 2017 announced that Jeffrey Dean Morgan (Negan), Alanna Masterson (Tara), Christian Serratos (Rosita) and Katelyn Nacon (Enid) will additionally be joining previously announced Norman Reedus (Daryl), Chandler Riggs (Carl), Michael Cudlitz (Abraham), Tom Payne (Jesus), Michael Traynor (Nicholas) and Greg Nicotero (special effects, director, producer and writer).